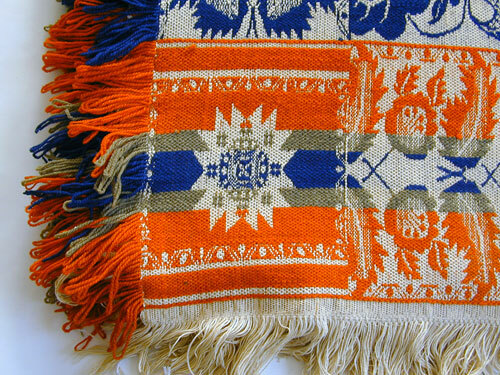 This Star pattern Coverlet is made of Wool and Cotton. This type of coverlet is attributed to the South East region of Pennsylvania or Maryland and dates from the mid-19th century. 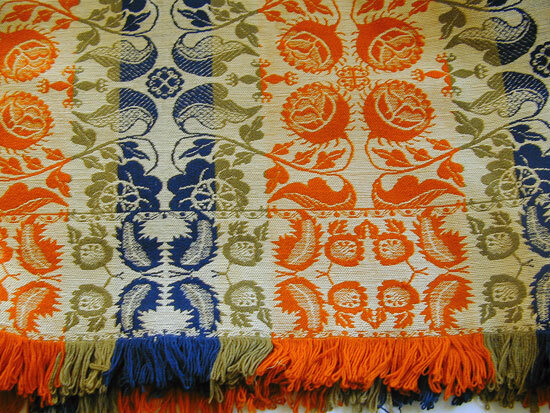 Made of two panels seamed in the middle, this coverlet is in excellent condition. Measuring 96" L X 86" wide.